I’m lorinda. Nice to meet you! So you need some wedding flowers? i’m here to help! whether you are having an intimate elopement or 5-star shindig, i am going to rock your wedding with the most lush and textural blooms out there! 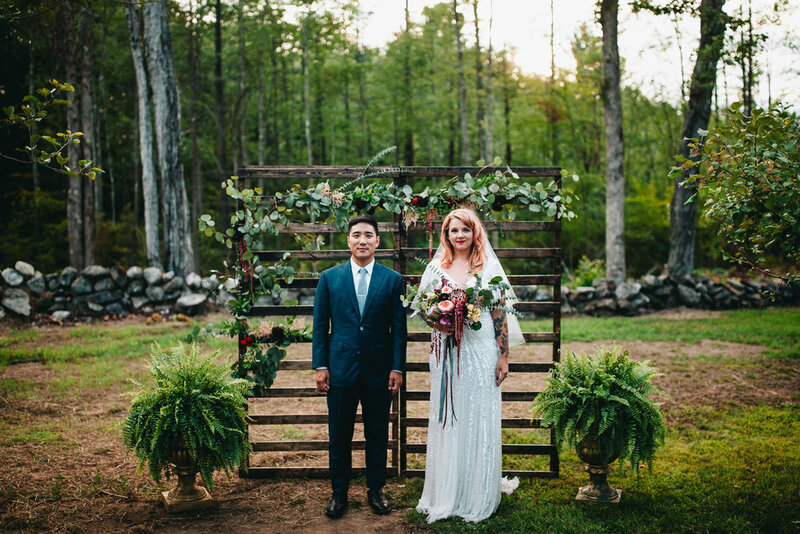 From our studio in providence to nyc, the catskills, and all over new england we are ready to give you the grandest garden party or an eclectic industrial disco. With my background in fashion, i love pairing unexpected colors and textures with the natural shape of the blooms to create something unique. i’m especially fond of a big, wild install for your day, please inquire within! I grew up in new hampshire surrounded by incredible nature. After college, I traded that all in for cities - first los angeles, and then new york. I worked in fashion for over 10 years and got insanely burnt out. When it came time to plan my own wedding, i fell in love with the process, and especially flowers. With the luck that only seems to happen in nyc, i was able to find an internship and start my journey into flowers full-time. i freelanced for some of the most incredible artists all over the city before starting sweet talk in early 2018. Hanging out with my husband, ted, and our Schnoodle, shredder. Finding any sort of body of water to swim in. driving listening to the music way too loud. going down a deep, dark pinterest hole. making plans for a joshua tree getaway. finding any pizza place within a 100 mile radius. going to variety coffee for an iced almond latte. perusing craigslist for mid-century modern furniture. bugging my friends for a karaoke night.